This summer program is designed for highly motivated, talented high school students who wish to gain a deep understanding of investments and financial planning. Acclaimed faculty from The Paul Merage School of Business at the University of California, Irvine partner with industry experts to deliver a unique learning environment through a combination of case studies, group projects, on-line simulations and student presentations. The program culminates in the creation of a personal wealth management plan by each student, paving the way for a lifelong plan of financial success. Challenge oneself and develop “My Wealth Management Strategy”, a personalized financial plan case study and present your findings to your peers and faculty. Expand your knowledge of personal financial management. Gain an understanding of macroeconomics and global financial markets. Learn how to analyze and evaluate stocks bonds, mutual funds, and ETFs. Develop and back test optimal investment portfolios. Familiarize yourself with wealth creation concepts. Application deadline is June 1, 2017. Apply Now! Applications are being accepted now on a rolling admissions basis. You will be notified within 30 days of application submission if you have been selected to attend. Apply now, seating is limited. Upon acceptance into the program, a $300 non-refundable deposit will be required to secure your spot. 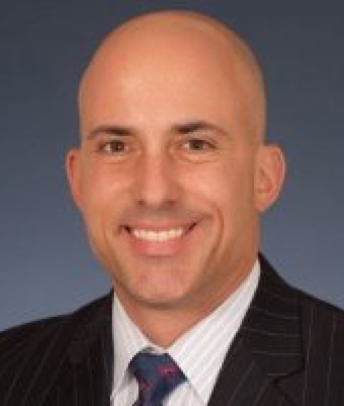 Professor Christopher Schwarz joins the faculty of the UCI Paul Merage School of Business in the area of Finance and will assume a leadership position in the school’s Center for Investment and Wealth Management as Faculty Director. Schwarz’s research interests include the management, disclosure, and operational risk of the investment fund industry and the impact of manager incentives and structure on investment fund performance. His research has been published in such leading academic journals as the Journal of Finance, Journal of Financial Economics, Review of Financial Studies, and the Journal of Financial and Quantitative Analysis and included in testimony before the U.S. Congress House Financial Services Committee. Feroz Ansari is a Senior Principal and Portfolio Manager. He is a CFP® (Certified Financial Planner™) certificant. He holds an MIM (Masters of International Management) degree from ASU - Thunderbird, Graduate School of International Management, Arizona, and an MBA from the Institute of Business Administration, Karachi, Pakistan. He has completed risk management, trading, portfolio management, leadership and financial management programs at The Oxford University in England, INSEAD in France, Citibank Training Center-Singapore, Euromoney in New York and Emirates Bank Training Center in Dubai. Feroz Ansari published a research paper dealing with dual exchange rate mechanisms and has conducted training programs for treasury management and foreign exchange. Prior to joining Compak, Feroz worked in banking and treasury management. He held positions at Banque Indosuez, Faysal Bank and Emirates Bank International. Feroz has over 22 years of experience in banking, treasury management, asset allocation and asset management. He started his career in 1993 as a Treasury Associate at Banque Indosuez and held the Position of Treasurer, Head of Treasury & Corporate Banking and Deputy General Manager at Emirates Bank. Joy Avedesian graduated from the University of California at Irvine with a B.A. in Criminology, Law and Society. Joy played NCAA Division I Women’s Soccer and earned a Big West Championship. As a Scholar Athlete, Joy was asked to join the Office of National Drug Control Policy at The White House during the Clinton Administration, in the Executive Office of the President. There, she testified in Congressional Hearings joining the White House, Congress, International Olympic Committee, and United States Olympic Committee to strengthen the international anti-doping laws for the Olympics. Joy was the appointed representative of all NCAA Division I athletes in this project and worked with then United States Olympic Committee Chairman Mitt Romney, Gold Medalist Carl Lewis, Drug Czar General Barry McCaffrey, and Dr. Henry Kissinger on this mission to encourage level playing fields for all athletes, in all sports, from all countries. Today, we see stricter anti-doping laws in sport because of these efforts. Joy actively serves on the Board of Directors for the UCI Alumni Association and serves on the Board of Spread the Word Nevada, a campaign focused on literacy in poverty stricken neighborhoods. Joy served on the Executive Committee and Project Funding Committee for United Way and continues her charitable commitments volunteering with The Shade Tree, The Caring Place, Child Haven, and the Cure 4 the Kids Foundation, to name a few. Joy joined Capstone Partners as Managing Director in Newport Beach in 2016. Her wife, Shilo, is Managing Partner of a California based law firm and they have two kids, Ben and McKenna. 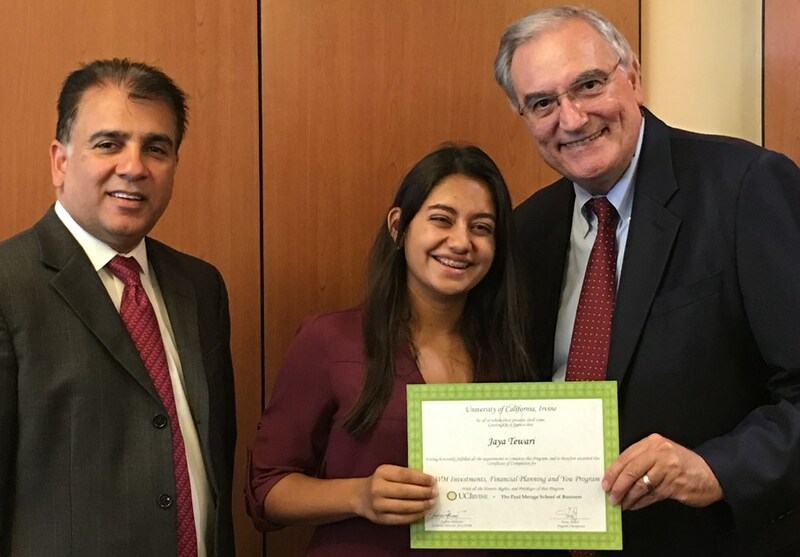 Joy believes in the Capstone Way and is looking to shift her talents from production to recruiting and development of the next generation of financial professionals and help build the premier financial services organization. 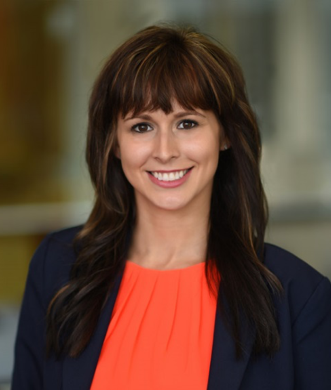 Prior to committing to join RS Crum in 2015, Ashley spent over three years with a wealth management firm based in Toledo, Ohio serving as a Client Relationship Manager where she helped develop, coordinate, and implement financial plans and manage day-to-day client requests. Ashley takes great pride in her client relationships. Actively involved in the community, Ashley is a member of ProVisors, the Orange County FPA, the National Association of Personal Financial Advisors (NAPFA), and CalCPA. Ashley has volunteered her time on a number of philanthropic projects, including the Center of Investment and Wealth Management at UCI (LIFEvest), “It’s Your Money,” Alzheimer’s Association, and is a co-founder of the Austin Kudzia Scholarship. 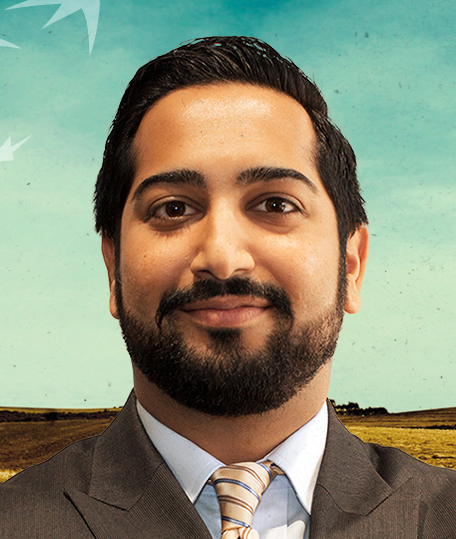 Cyrus Charna serves as a Portfolio Manager and as the Investment Strategy Officer for Bank of the West. In this capacity, he is responsible for the investment management of trust and agency accounts. Mr. Charna is an active member of the Bank’s research team with focuses in select GICS sectors, alternative investments, and overall asset allocation for the Bank’s investment strategies. As a member of the Global Investment Management team, he reviews and analyzes a variety of markets and securities for investment opportunities and keeps current with economic and financial market events. He also works with investment professionals worldwide via the Bank’s parent company BNP Paribas, one of the largest banks in the world. Mr. Charna writes weekly, monthly, and quarterly investment communications, known as the Bank of the West Investment Insights, which are shared with all clients, prospective clients, business partners, and employees. Prior to his current position, Mr. Charna was an Analyst at Angeles Investment Advisors, where he assisted in investment management and market research for the advisory of institutional clients with assets totaling over $40 billion. Previously, Mr. Charna also personally managed investments for a small group of ultra-high net worth individuals as a self-employed investment consultant. Former positions in the financial industry include experience in real estate development and management. 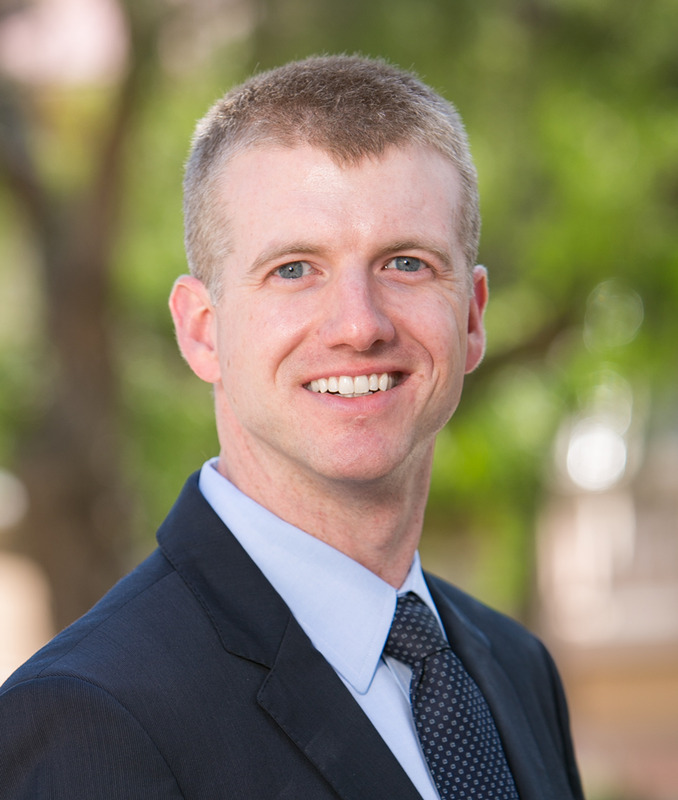 Steven Gill is an Associate Professor in the Charles W. Lamden School of Accountancy. He received a BS in Accounting from the University of Florida (Gainesville, FL) a MS in Taxation from Northeastern University (Boston, MA) and a Ph.D., Accounting (University of Massachusetts 2007). Prior to entering academia, Professor Gill worked twelve years in the field of accounting including roles in public accounting, internal audit, corporate accounting and ultimately, vice president of finance. Professor Gill’s research interests include a concentration in taxation including mutual funds and college savings (“529”) plans and wider interests in corporate internal control structure and weaknesses, management overconfidence and earnings quality. Professor Gill has taught at both the undergraduate and graduate levels and his teaching interests include taxation and financial accounting. Mr. Glenn Hamburger has been Senior Vice President of Wealth Management Group - Orange County at Bank of the West since February 2016. Mr. Hamburger has more than 25 years of experience as a wealth management executive. He served as Senior Vice President of Private Client Services at City National Bank since August 2010. He served as Group Manager for Comerica Bank's Wealth Management Group, where he was responsible for three private banking offices. Before joining Comerica, he served as a Banking Manager at Union Bank. 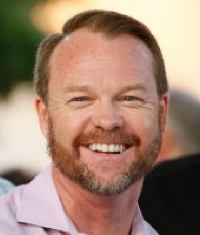 He has a Bachelor's Degree from the University of California at Santa Barbara and a Masters of Business Administration from California State University at Long Beach. Glenn is also involved in several community activities which include the Corporate Partnership Committee with Children’s Hospital of Orange County, Junior Achievement, and March of Dimes. 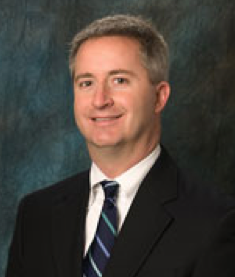 Mr. Lindsay has over 14 years of experience in the financial industry. Prior to joining Bank of the West, Mr. Lindsay served as a Private Banker with Wells Fargo. Mr. Lindsay had also served as Vice President and Managing Partner for Capitol Pacific Finance, specializing in purchase lending. Mr. Lindsay prides himself on his ability to build a team and designed process to help assist his clients succeed financially through a comprehensive process. Mr. Lindsay holds a Bachelor of Arts degree from Loyola Marymount University. Mr. Lindsay is heavily involved in multiple organizations. Mr. Lindsay is an Orange County Ambassador for LMU Alumni, a visionary member of University California, Irvine Paul Merage School of Business Dean's Leadership Circle, Aliso Viejo Community Association Events and Outreach Committee member, and serves as the past president for the Aliso Niguel Boys Lacrosse Booster Club. 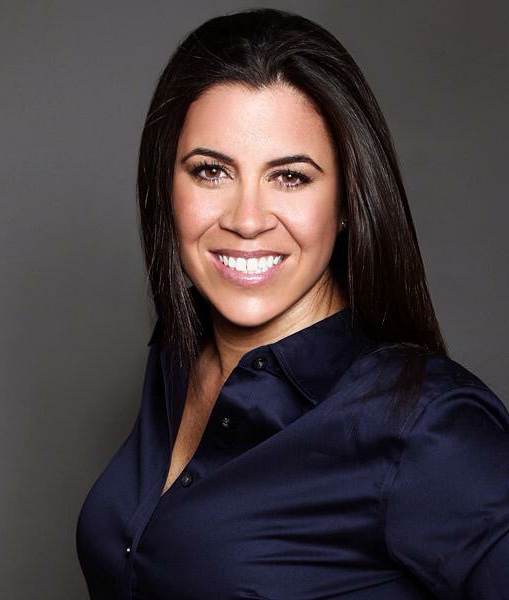 Ms. Lizardi joins Opus Bank’s Merchant Banking Division most recently from Engaged Capital, where she served as Associate Director and was one of the six members who launched the private equity-style hedge fund in 2012. Ms. Lizardi was responsible for helping to establish the firm’s infrastructure, coordinate fund raising efforts, and develop the strategic marketing and investor relations plan. Previously, Ms. Lizardi served with Goldman Sachs & Co. in New York as an Associate within the Investment Management Division. Earlier in her career, Ms. Lizardi served as an Assistant Vice President with Bank of America Merrill Lynch from 2007 to 2011 and was responsible for platform marketing and development within the Alternative Investments Division, which included hedge fund, managed futures, and Private Equity funds on the wealth management platforms for Merrill Lynch and U.S. Trust. Ms. Lizardi began her career in marketing and investments sales at Trust Company of the West. Ms. Lizardi holds a B.A. from the University of Southern California. Time: 08:30 a.m. - 05:00 p.m.